Combine your love of horses with your passion for _________. You know you want to work in the equestrian industry but you have other interests as well — maybe it’s art, business or communications. The William Woods University Bachelor of Equine General Studies degree program prepares you for many ‘behind-the-scenes’ opportunities. There is fundraising, organizing, promotion and purchasing. There is therapy, leadership, media and art. This bachelor’s degree helps you pursue your dream vocation, while specializing in the industry you love. Whether you want to ride, write, photograph, manage, create art or any other, the equine general studies major will put you on course to pursuing your dream. 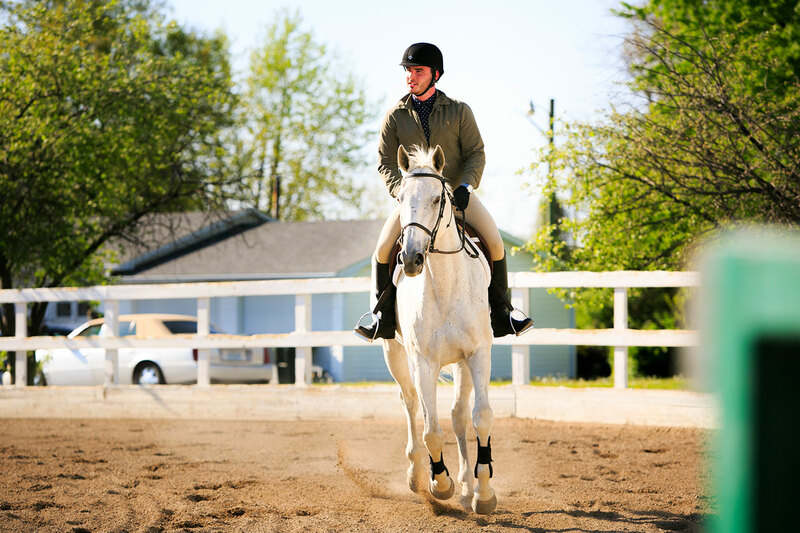 Pursue concentrations in Art, Equestrian Leadership, or Equestrian Studies. Start one morning in entrepreneurship class and finish the day with a sunset ride from the applied riding ring. This major is also designed so you can expand with a second major, and it’s customizable to help you achieve your personal career goals. Get involved with other students who share your interests. Join a publication and pursue your passion — whether it’s graphic design or photography. Or start working with equine assisted therapies right on campus. We also have five equestrian organizations on campus, open to all students, regardless of major. There is a club for each seat: Dressage, Hunter/Jumper, Saddle Seat, and Western. I feel that my proudest moments are when I see our graduates working in the industry. I think that my role has played out well, that of being a springboard for our students to be able to be successful. The sky’s the limit. This place will put you in touch with people you should know. There’s no finish line. You just keep learning and getting better for the rest of your life. The Bachelor of Science in Equine General Studies degree at William Woods University consists of 122 distinct credit hours for graduation—including 23 core major credits, 6-10 required elective credits, and a 15-20 credit concentration in Art, Equestrian Leadership, Equestrian Studies, Equine Media, or Equine Assisted Therapies.